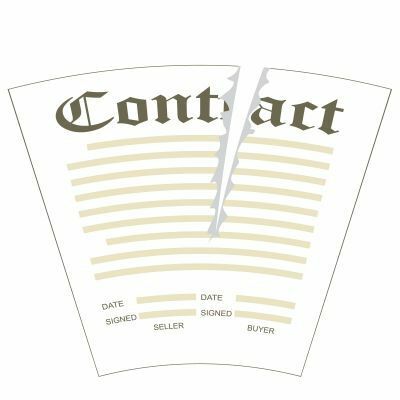 A few years back, New York State's highest court handed down a truly significant decision, clarifying the damages that a party is able to recover when the other side to a real estate contract breaches the agreement, or backs out of the deal. In St. Lawrence Factory Stores v. Ogdensburg Bridge & Port Auth., New York's highest court reversed that part of the lower court's holding that dismissed the plaintiff-seller's claim that it was entitled to recover its reliance damages, reinstating that claim. More specifically, the Court of Appeals held that where a developer of land breaches a real estate development contract and doesn't close, the seller's legal remedy is not limited to recovery of only those [expenses which are] ordinarily incurred regarding such a contract, such as a title search, survey and attorney's fees." Rather, the seller is entitled to recover those expenses that were incurred in reasonable reliance on the purchaser's anticipated performance of his end of the contract, such as the expenses incurred in arranging financing and obtaining prospective tenants for the property. "[T]he dismissal before trial of plaintiff's claim for reliance damages was error. The Appellate Division held that, under "a contract for the sale of land requiring plaintiff to tender defendant the sale price upon closing," reliance damages are limited to "only those ordinarily incurred regarding such a contract, such as a title search, survey and attorney's closing fees" (St. Lawrence Factory Stores v Ogdensburg Bridge & Port Auth., 26 AD3d at 702). This is incorrect. "In land transactions, as in other contracts, the rule is the one stated in Restatement (Second) of Contracts § 349: as an alternative to expectation-based damages (which would include lost profits and benefit of bargain), a plaintiff may recover "damages based on his reliance interest, including expenditures made in preparation for performance or in performance, less any loss that the party in breach can prove with reasonable certainty the injured party would have suffered had the contract been performed." The principle expressed in the Restatement has long been part of New York law (Friedland v Myers, 139 NY 432, 436-437 ; Bernstein v Meech, 130 NY 354, 359 ; see also Freund v Washington Sq. Press, 34 NY2d 379, 383  ["reliance losses suffered . . . in making necessary preparations to perform" would be recoverable "if foreseeable and ascertainable"]). (2) anything that provides a greater disincentive to breaching a contract is probably a good thing. Post a Comment to "Why Real Estate Developer Can Recover Reliance Damages in NY"